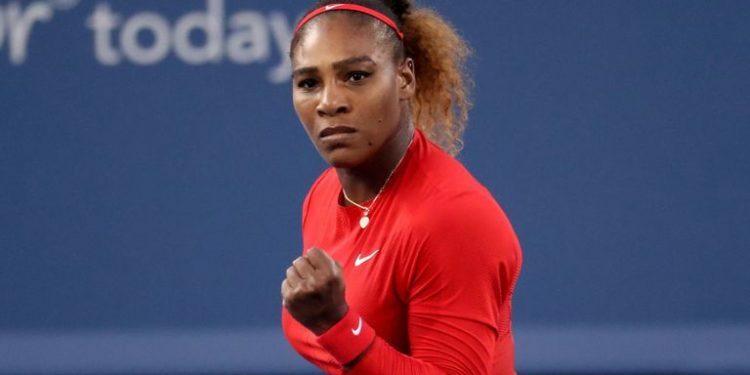 Serena Williams saw off Sweden’s Rebecca Peterson 6-3, 1-6, 6-1 in her second-round opener of the WTA and ATP Miami Open despite a lapse in the second set. Williams, who is an eight-time champion in Miami will now face China’s Wang Qiang who beat Britain’s Jo Konta, in the third round. The 37-year old who is seeking her first title since the birth of her daughter said she couldn’t see because the light was only on her side. “It was interesting, because first of all it was dark out there, which was really odd,” Williams said. “I wasn’t sure if there should be lights. The shadow was so intense it was actually dark. “Then there was light, but only on my side. That was weird because I literally couldn’t see. Rebecca Peterson who had an illness last week and took the week off said it was irresponsible to play the way she did. “Had to take a lot of time off the last week. “It’s definitely not easy at all. But I’m through it. That’s that. I’ve just got to get my game back to where I know it can be. “I told myself at the end of the second set that I could not lose this match.